Ok, so what can I say? 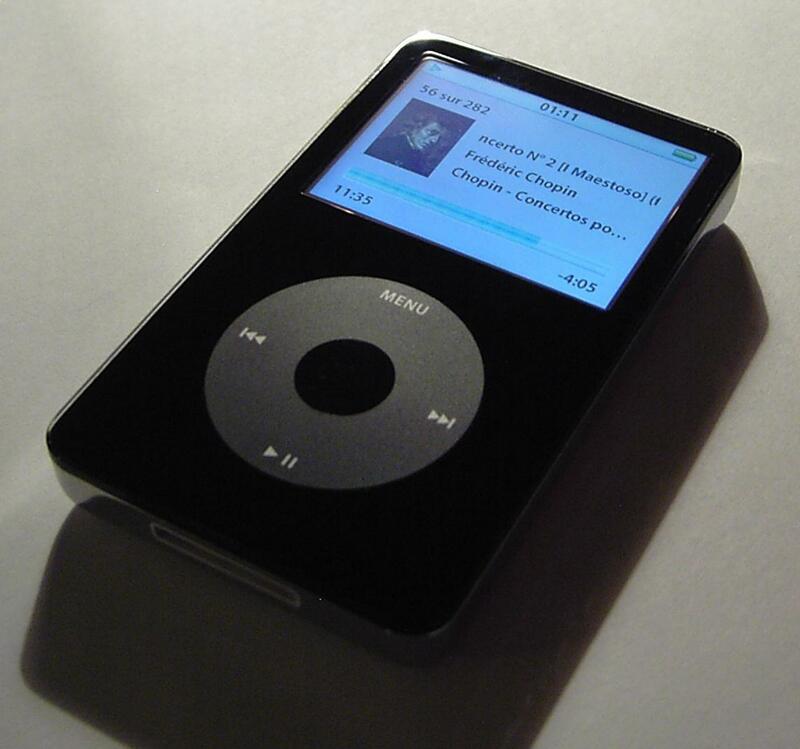 It’s been almost 10 years since I placed hands on my first Apple product… An iPod… An old gray one with the wheel and a grayscale screen… Remember the wheel? Ahh… I can… it was my friend’s iPod, they let be borrow it and I immediately took to it. The iPod was to be the end of my CD Walkman days, and man I had carried that thing everywhere. I had just gone back to school and the iPod changed my life. Not only did I have dozens, hell even a hundred albums, on a pocket-sized piece of hardware… But with it came iTunes– simply put, a revolution in music. I don’t remember how long it took me to burn my ENTIRE music collection into the computer, but gone were the days of rooting through cases and carrying tons of CDs around. Now it was possible to carry TOO many albums… It wasn’t because I didn’t have to stand in front shelves of albums trying to find that one I wanted to listen to, nor was it the fact that I could have hands-free access to my tunes- it was the fact that I could have almost all of the music I needed in one spot. The age of the Playlist was here, and no longer were we constrained by the shackles of an LP, no now we could make mix-tapes with a click and a drag. WAIT! Don’t get me wrong. 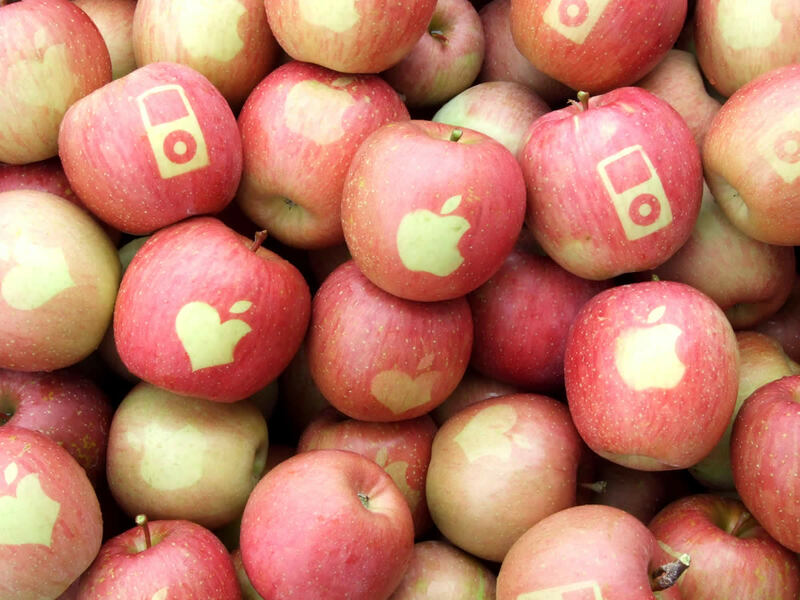 I believe in the concept of “the album.” As a musician myself I know that the implementation of iTunes has only fed the fast-food music we have today, a hollow shell of the once great “industry” that had so much control… all brought down by Napster and Apple. I still buy CDs. If one of my favorite bands puts out something new, I want to hear it like it’s supposed to be heard, start-to-finish, clear-as-a-bell. Take for instance the new Foo Fighters album Wasting Light. Soundcloud.com is currently hosting the entire album for preview before it comes out tomorrow (Tuesday 4/12). The Foo Fighters also just put out a feature documentary in theaters, online, and on Paladia (it’s brilliant, watched it Friday night). This multi-media promotional technique is par for the course with today’s bands. It all also coincides with the 17-year anniversary of Nirvana frontman Kurt Cobain’s death (the immortal band the Foos’ Dave Grohl played drums in). The marketing strategy has worked, no ripped copies have leaked on the internet (except for the webrip from the stream) and I personally plan on picking up the CD tomorrow. It will be the first CD I’ve bought since September of 2010 when Alice in Chains’ new album dropped. But of course I will rip it into iTunes so I can have it on my iPhone! I listen to music on all kinds of devices these days. Whether it’s from the iPhone speaker/armband I designed and built myself (great for bike rides and having on while working, it’s music with no earbuds), or plugging it into one of the seven i-ready stereos we have (two in cars and five in the house! ), music from the internal iPod App or from Pandora is ALWAYS playing. Have I mentioned I love music? My parents were huge music buffs and I’ve probably been to 50 more concerts than the average person due to my dad dragging me to Grateful Dead shows, Neil Young concerts, and Bluegrass Festivals all before I was even 15 (also explains the partial deafness- but I don’t hold a grudge). 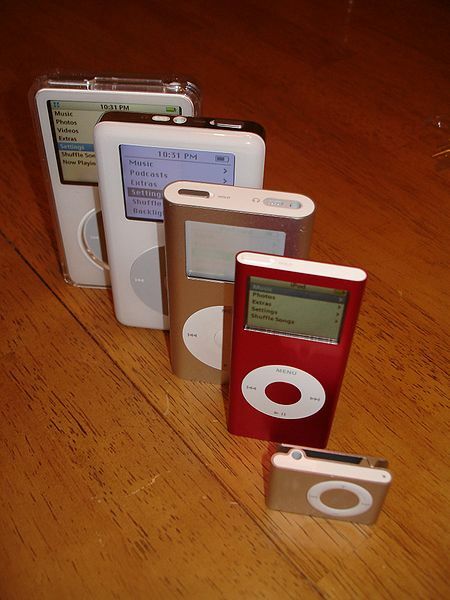 When I got my first 5G iPod Video in 2006 I thought I was going to die. 30 gigs of music and video, I didn’t know it was possible to fill it up… until I got all 6 seasons of Family Guy (there were only 6 then). I’ve always loved movies as much if not more than music, and a portable video player that I could pre-program with my favorite movies or shows to watch on the go?! I was in heaven! Little did I know… That 5G was my last Apple product for a long, long time. 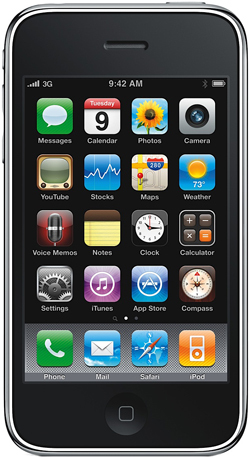 I watched the fury of the iPhone and the iTouch come and go, 3G, 3GS, etc… I was busy with other obsessions at the time (Playstation 3 had just came out). Apple’s marketing campaign got so obnoxious that I started in with the haters even before the iPhone came out. I didn’t see what the big deal was at the time. I just saw it as a fancy and expensive waste of time. Boy was I ever right. My honey came back from a business trip with an iTouch 4G two summers ago, right after it had come out. It was my first experience with the new touch screens, it humbled me, it made me eat every word I’d spoken out of envy, I immediately turned around and got a refurbished iPhone 3G, the second model. I loved my 3G. It was slow as molasses and dropped almost every call, but it was a touchscreen, it surfed the web, and allowed me to carry any movie (or music) I wanted and on a big screen! When the iPhone 4 dropped I drooled, I saw people with them everywhere… I wanted one so bad I could taste it (tasted like strawberry strangely enough). I jailbroke my old 3G and explored the world of 3rd party apps, but it was too slow in the end… and when iPhone 3GS’s went on sale for $49 this last Christmas I knew my time had come. Sure enough I managed to squirrel away 49 bucks and bought myself a 3GS for my 34th birthday. 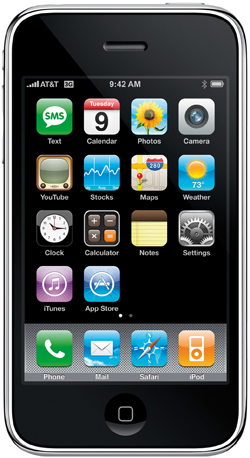 It is lightning fast, I can only imagine how fast the iPhone 4 is. I can watch Netflix on the fly, listen to Pandora Internet Radio, update my Twitter and Facebook, post blogs, write music, schedule appointments, anything! (Well, not anything… but I love this phone). So almost a decade, 250 million iPods, 100 million iPhones, and a $65 billion dollar net worth later, Apple is doing ok for itself. What was once a dying computer company has revolutionized the way people buy, organize, and listen to music and movies. Not bad, not bad at all.